Phuket Bus Terminal 1 is Phuket Town’s town centre bus station. Minivans to destinations on Phuket Island and a small number of bus services to destinations on the mainland depart from Phuket Bus Terminal 1. Long distance bus services depart from Phuket Bus Terminal 2, which is located 4 km to the north of Phuket Town. 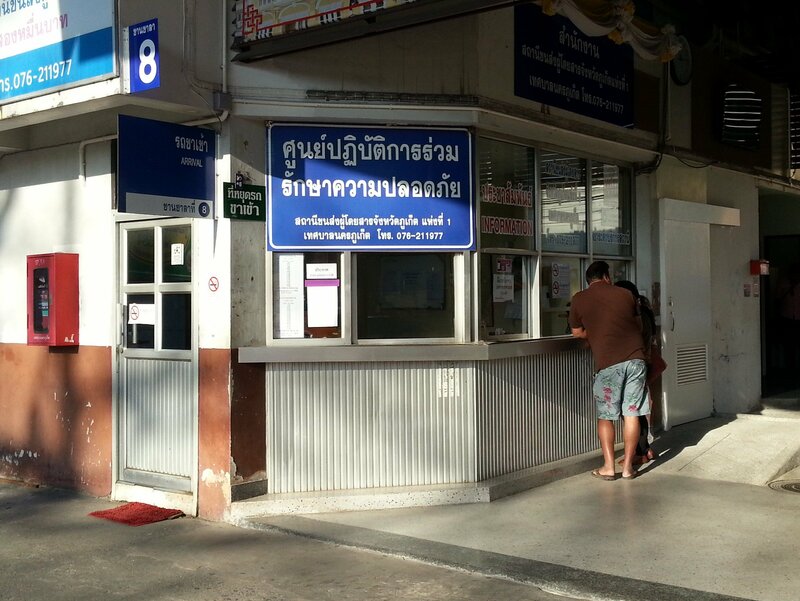 If you want to take a bus to Bangkok or Surat Thani for ferries to Koh Phangan, Koh Samui and Koh Tao then you need to go to Phuket Bus Terminal 2. Phuket Bus Terminal 1 used to be Phuket’s main long distance bus until the construction of the new out of town Phuket Bus Terminal 2. Phuket Bus Terminal 1 remained in operation after the new bus terminal was completed because of its convenient location in Phuket Town which is growing popularity as a tourist destination in its own right. Minivans to major resorts and an airport bus operates out of Phuket Bus Terminal 1. A cheap shared taxi to Phuket Bus Terminal 1 and some direct bus services to destination in the Southern Region of Thailand also depart from Phuket Bus Terminal 1. Phuket Bus Terminal 1 is a large and well managed bus station especially considering that the station only serves a range of destinations on the island, and a very limited number of intercity services. If you are planning to travel from Phuket Town then you should initially head straight to Phuket Bus Terminal 1 and make your way from there. 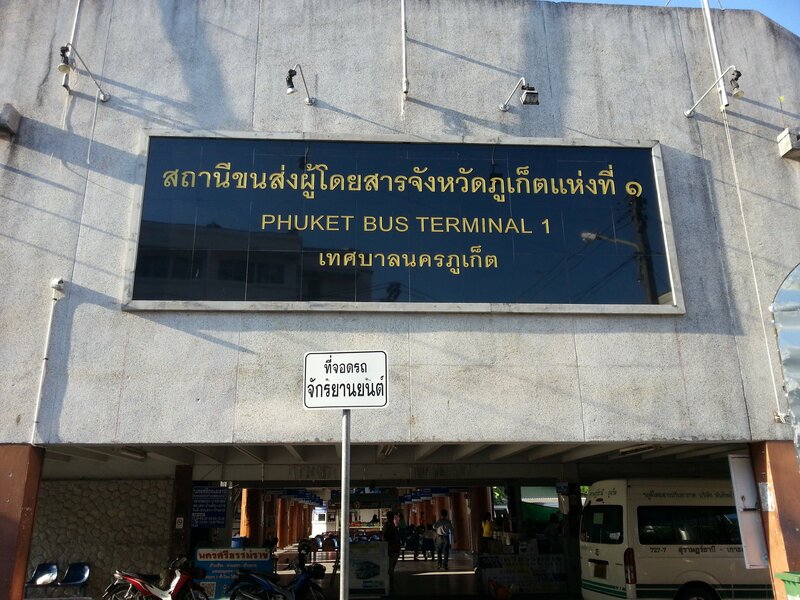 Phuket Bus Terminal 1 is located off the Phang-Nga Road in Phuket Town. 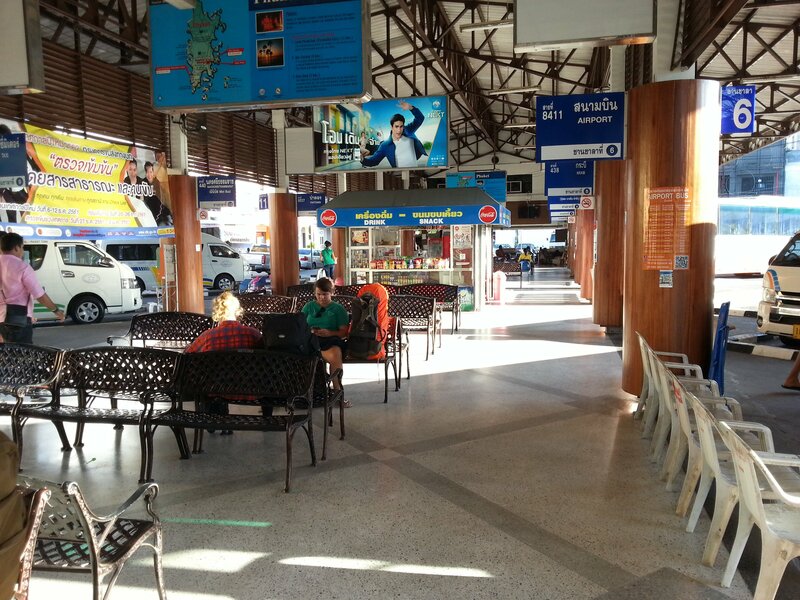 As local bus stations go, Phuket Bus Terminal 1 has great facilities and a large waiting area. The bus station’s location in the town centre also means that you can find most things you might need and some great places to eat only a short walk from Phuket Bus Terminal 1. Toilets located at the far end of the waiting area on the other side of the building to the main entrance. A small convenient store located in the centre of the waiting area and another by the toilets. Taxi office near the main entrance to the station. For local minivan services, shared taxi services and the bus to the airport you pay on the bus and there is no need to buy a ticket in advance. For long distance bus from Phuket Bus Terminal 1 you do need to buy a ticket in the station before you get on the bus. 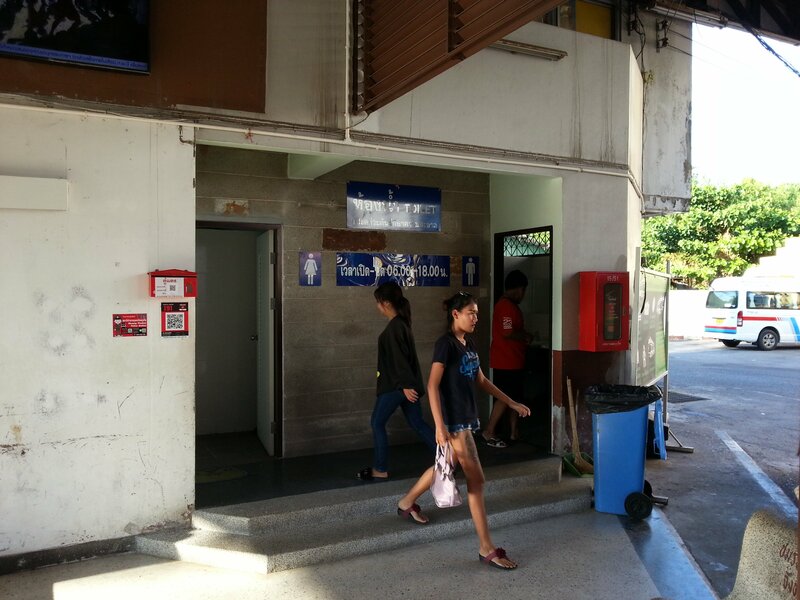 Rather confusingly there are two ticketing areas in Phuket Bus Terminal. There is one ticket counter in at the far end of the waiting area and also a cluster of ticket counters near the main entrance. Its not entirely clear whether you can buy tickets for the same services at both ticket counters or whether you need to particular ticket counter depending upon where you are going. The best advice is to ask at both sets of counters about services before deciding which bus ticket to buy and who from. For destinations other than Surat Thani enter the name of destination into the box which currently says ‘Surat Thani’. Long distance bus services depart Phuket Bus Terminal 2, which you can reach cheaply by taking the frequent shared taxi transfer services from Phuket Bus Terminal 1 to Phuket Bus Terminal 2.
departures at: 06:00, 06:30, 7:00, 08:00, 09:00, 10:00, 11:00, 12:00, 13:00, 14:00, 15:00, 16:00, 17:00, 18:00 and 19:00.
departures at: 07:00. 08:00, 09:00, 10:00, 11:00, 12:00, 13:00, 14:00, 15:00, 16:00, 17:00 and 18:00.
departures at: 06:35, 07:15, 07:55, 08:35, 09:15, 09:55, 10:35, 11:15, 11.55, 12:35, 13:15, 13:55, 14:35, 15:15, 15:55, 16:35, 17:15 & 17:55.
departures at: 08:00, 10:00, 12:00, 14:00 and 16:00.
departures at: 07:30, 08:30, 09:30, 10:30, 11:30, 12:30, 13:30, 14:30 & 16:00.